Friday, April 1, 2011 – Gov. John Hickenlooper announced today the appointment of Michael Scott to serve as the new Director of Paper Distribution for the Department of Natural Resources. Scott, of Scranton, Pa., recently announced he is leaving his job as the regional branch manager for Dunder Mifflin Paper. Scott has served in this position since 1994 and is moving to Colorado to join his fiancé, Holly Flax, who is returning home to care for her elderly parents. 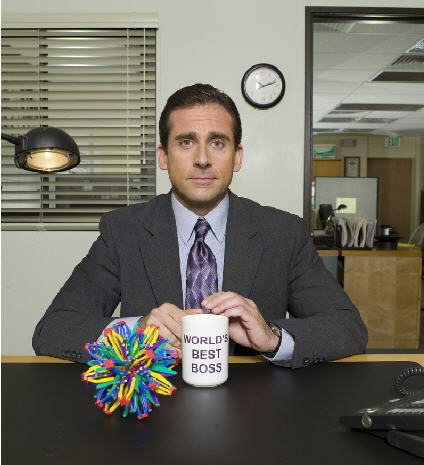 Scott was also a small business owner, having successfully started the Michael Scott Paper Co. in 2009. The company was later purchased by his former employer, Dunder Mifflin, which restored Scott and his employees Pam Halpert (née Beesley) and Ryan Howard to their previous positions.